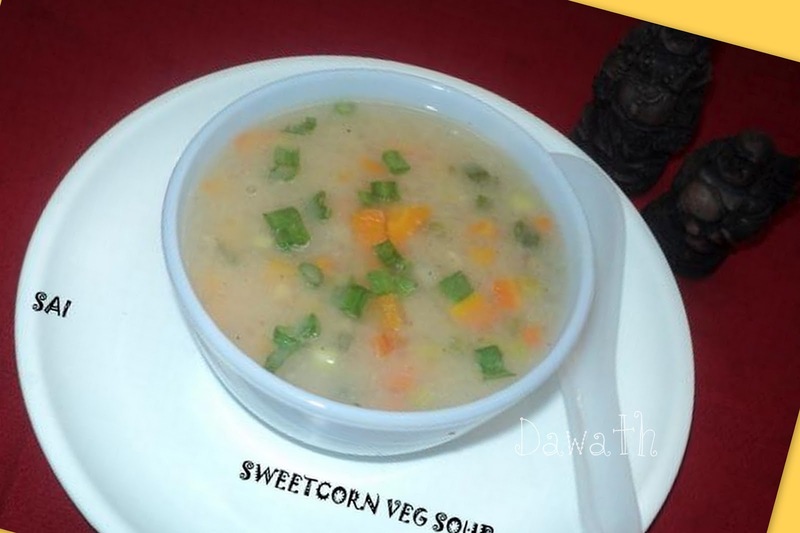 Sweetcorn soup was our childhood most favorite soup.We used to wait curiously with our soup bowls while our bro used to prepare the soup for us..Yes,I learn’t to prepare this soup from my bro .And this tastes awesome. Boil veggies in cooker or a vessel adding a pinch of salt. Dilute sweet corn tin with water as much as needed and the soup packet accordingly. Keep it on flame ,add veggies along with its stock. Take a boil,add seasonings and sauce. Lastly add spring onions and take a small boil.